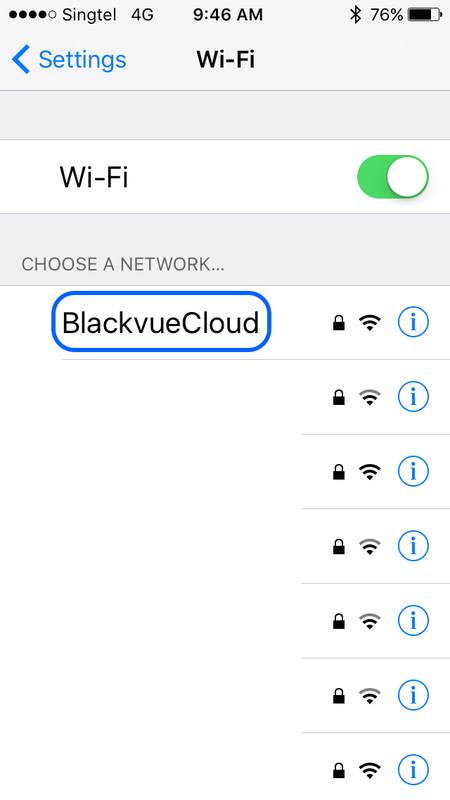 a) BlackVue Viewer PC software (for Mac or Windows OS). Note: If you had forgotten the password, the only way to reset the password is to use the BlackVue Viewer PC software. ​ Please continue from this link. 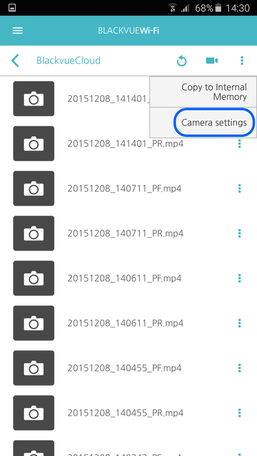 b) BlackVue C App (for iOS or Android OS), please continue the steps below. 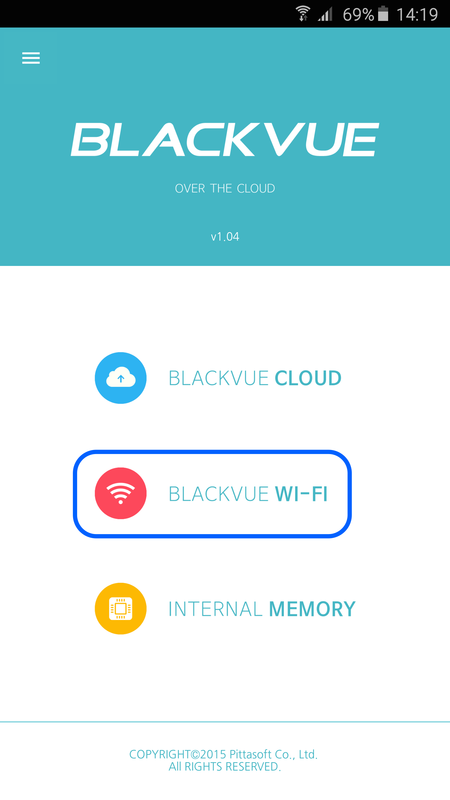 1) Switch ON the WiFi for both your smartphone and BlackVue. 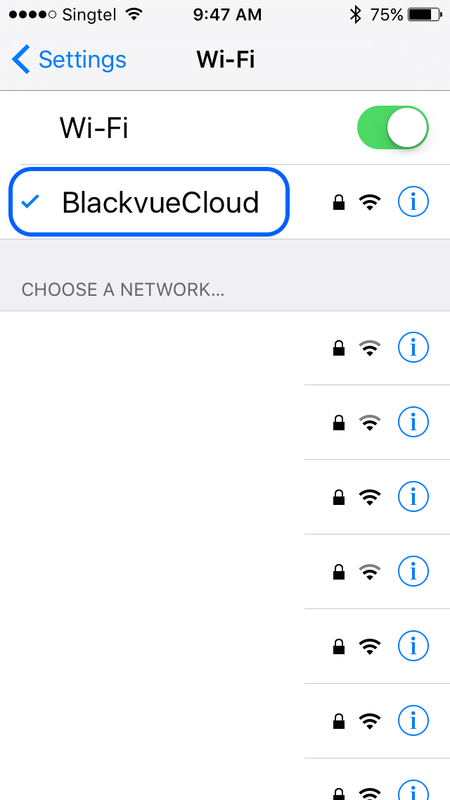 2) For iOS, go to the Settings > Wi-Fi and select the SSID of your BlackVue. 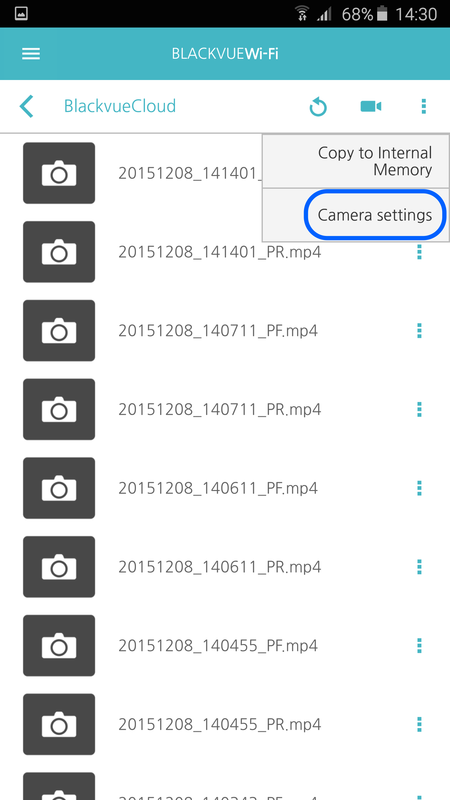 For Android OS, please skip to step 4). 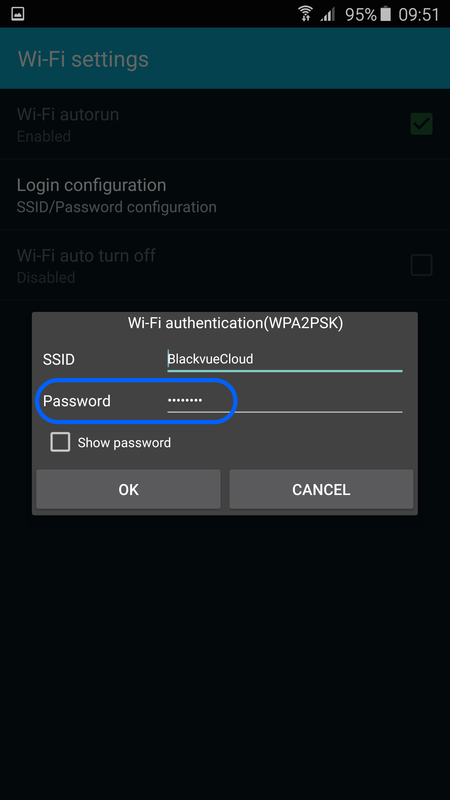 ​3) Wait for the Wi-Fi connection to BlackVue to be established successfully. 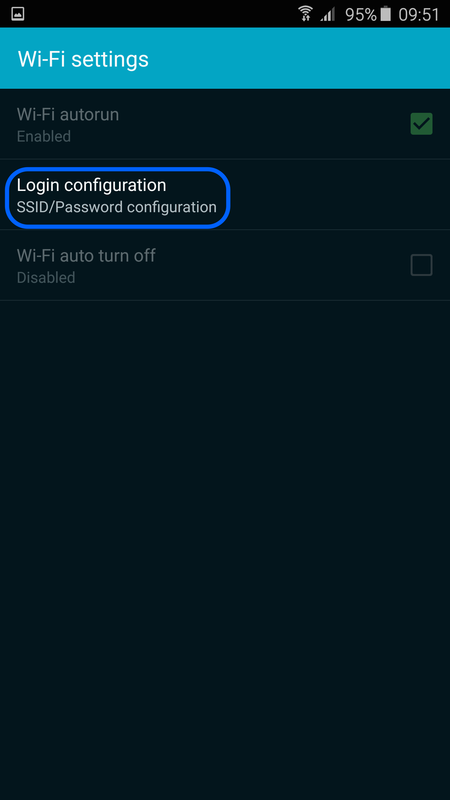 ​8) Key in the new password. ​9) Select OK and SAVE. 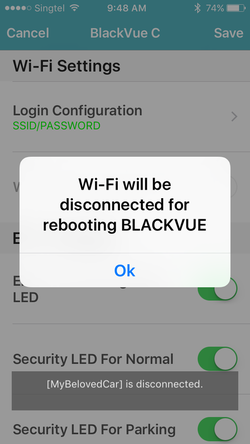 WiFi will be disconnected and BlackVue rebooting. 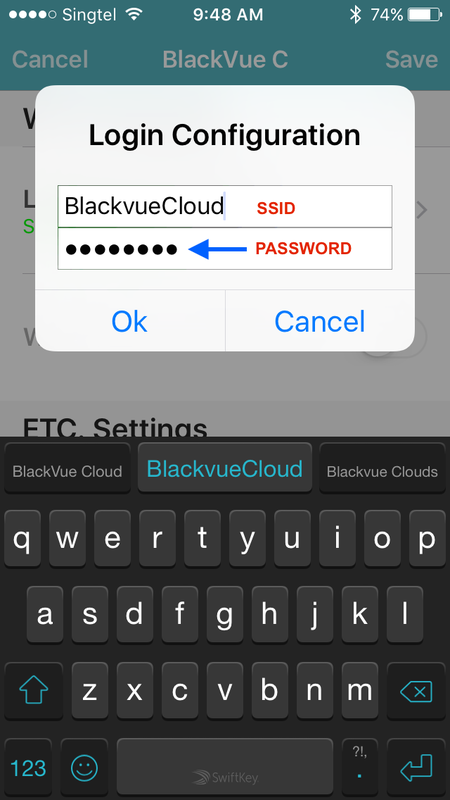 ​10) About 25 seconds later, BlackVue will starts normal recording and new password will be effective. 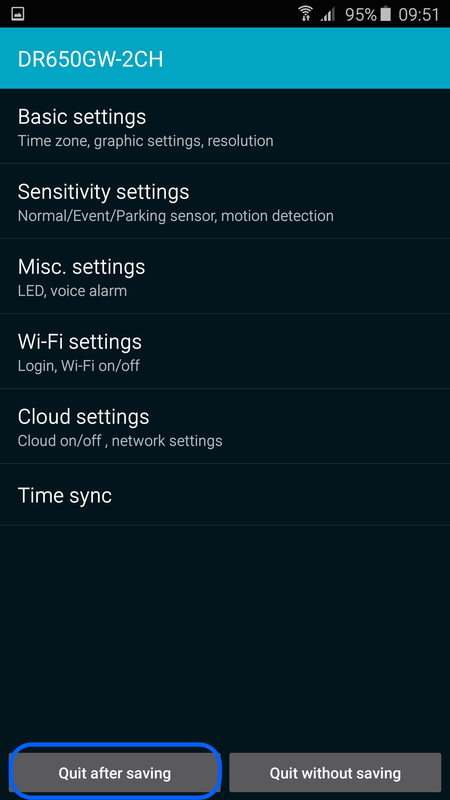 11) For Android OS, select the "Wi-Fi Settings". 13) Key in the new password. 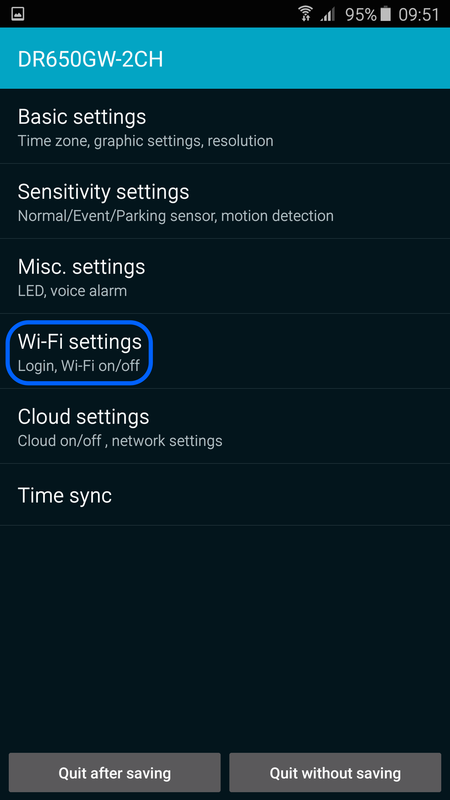 14) Select "OK" and "Quit after Saving"
15) WiFi will be disconnected and BlackVue rebooting. 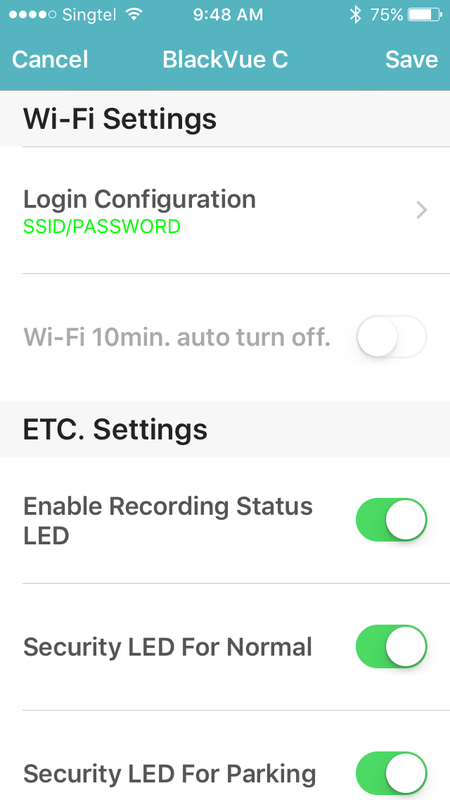 16) After about 25 seconds, BlackVue will start normal recording and new password will be affective.